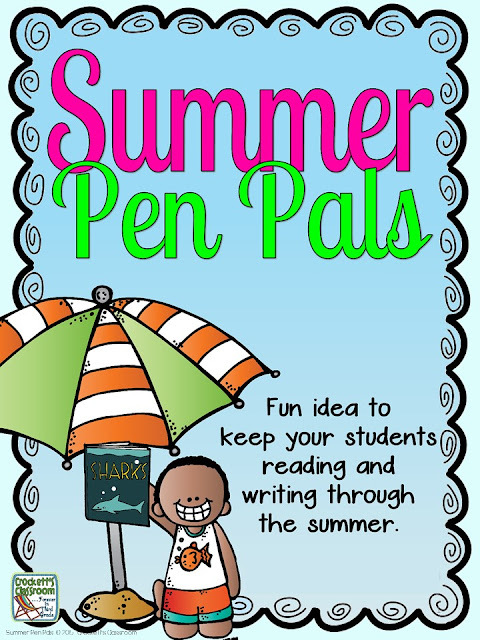 This simple idea will encourage your students to keep reading and writing through the summer! Before the end of the year have each student bring in two stamped envelopes. (Or just two stamps if you already have envelopes.) Show them how to write their address on the front of each. Then collect the envelopes. Of course, they'll all be curious about these envelopes, but don't tell them anything yet. Let the excitement and curiosity build a little! 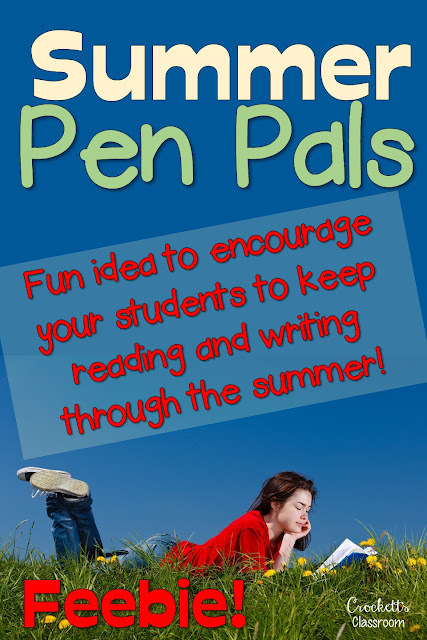 Later, or the next day, explain to the students they are to read a book this summer. After they read the book they'll write a letter to a friend to convince them they need to read this book. They will place the persuasive letter in one of the envelopes and mail it to a classmate. They will include in the second envelope that has their own address on it. The second envelope will be used by the receiver to write a return letter! Click on this image for the directions and letter to send home with students. Surf's Up on a New School Year!